Please see the Device Registration page. What does Allocate EUI do? If a device does not have an OEM assigned EUI, an EUI will need to be programmed into the device. Users can allocate EUIs for their devices from the Senet EUI registry. By default, each account is limited to 10 allocated EUIs. What if my device is not in the Device Type dropdown list? The Device Type can be left blank. Why can't I register any more devices? Users are limited to 10 devices by default. Please contact support@senetco.com to increase the maximum devices for an account. I deleted all of my devices. Why can't I register a new device? Allocated Device EUIs persist in a User's account. Register a new device with an EUI that has already been allocated. To view an account's allocated EUIs, open Edit Account Information (See Edit Account Information). The EUIs will be listed under Allowed Device EUIs. How do I edit a device? Edit a device from the Dashboard Tile View. Edit a device from the Dashboard Table View. Edit a device from the Device Details View. Delete a device from the Dashboard Tile View. Delete a device from the Dashboard Table View. Although the device is removed from the Dashboard, the Allocated EUIs are not removed from the account. The device data is also not deleted with the device. Just re-register the device EUI and the previous data will be accessible. What is a Notification Target or Notifier? Please see the [Data Streaming][d_stream] page. How do I forward uplinks to an IoT platform? How do I recover or view a device's App key? In the Edit Device window (See Edit Device), click on the key icon next to the Device EUI field. The App EUI and AppKey will then be displayed below the Device EUI. How do I view or generate an API Key for sending downlinks? The Active API key is ONLY displayed in the Senet Portal after it has been generated. Once a user leaves the Edit Account Information page, the API Key will not be displayed again. To obtain an active API key, see Implementing the Downlink API. Please see the Gateway Registration page. Where is the serial number for a MultiTech Conduit? The Serial is printed on the upper left side of the label found on the bottom of the Conduit. The serial number can also be retrieved using the Conduit's CLI. What firewall ports do I need to open for my Gateway? How do I stop or start the Senet Packet Forwarder? This will stop all running Senet processes and allow for an additional packet forwarder application to run without contention. How do I uninstall the Senet Packet Forwarder? On some platforms when the gateway operating system is updated, the update will factory reset the gateway which will remove the Senet Gateway Software. To re-install the Senet Network Software please follow these steps. Delete your Gateway from the dashboard. See Dashboard for help deleting a Gateway. Register your Gateway. This will initiate the process to re-register the Gateway on the Senet Network. In the "Installation Notes" section please indicate you have updated your OS and need to re-install the Senet Gateway Software. How do I customize the Dashboard View? Please see the Dashboard Customization page. Click on the username in the top-right corner. From the dropdown menu, select Edit Account Info. Click on the edit buttons on the right side of each section to modify the existing data. 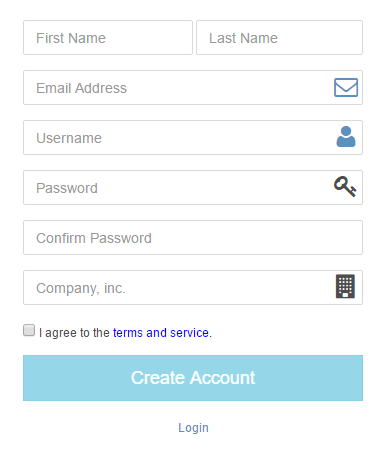 Complete the form and press Create Account. An account verification email will be sent from support@senetco.com to the provided email address. Click on the link in the email to complete account setup. This describes the ratio of packets received from a device compared to the total number of packets sent by that device over a period. The total number of packets is the difference between the minimum and maximum sequence numbers over the period. The unique sequence number of each received packet is used to tally a distinct count, even when reported by multiple gateways. What are SNR and RSSI? How do I ask a new question? Please visit our Community Page to create a new topic of discussion, post a reply or view answers to previously asked questions.